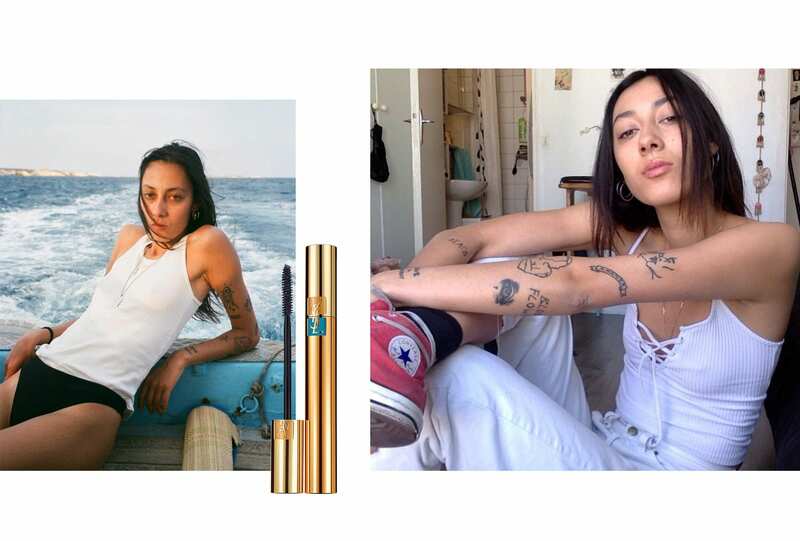 1/4 From left: RUSSH Issue 83, PHOTOGRAPHY Alon Shastel; Gaia Orgeas @cheezylove; CLARINS HydraQuench Tinted moisturizer. We first laid eyes on Orgeas in the Make History issue of RUSSH Magazine, au naturel for Christian Dior, and from there we were transfixed. 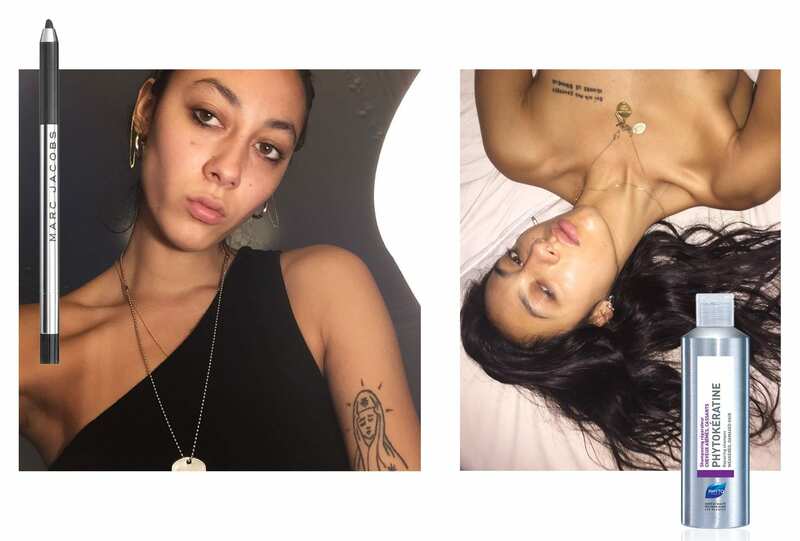 Now it’s time for you to meet the tattooed, French-born, NYC native, who knows nothing’s more beautiful than a true personality. I take my time waking up before I get up and then first thing I do is to drink a big glass of water. If I have time I exercise a bit (boxing, stretching) because every single part of my body is important. I need to feel good, head to toes. From my point of view, beauty is not just about looking beautiful, but feeling good from within. Then you feel stronger, empowered and ready to enjoy your day. I wash my hair with Phyto Phytokeratine Reparative shampoo and I put a mask twice per week. 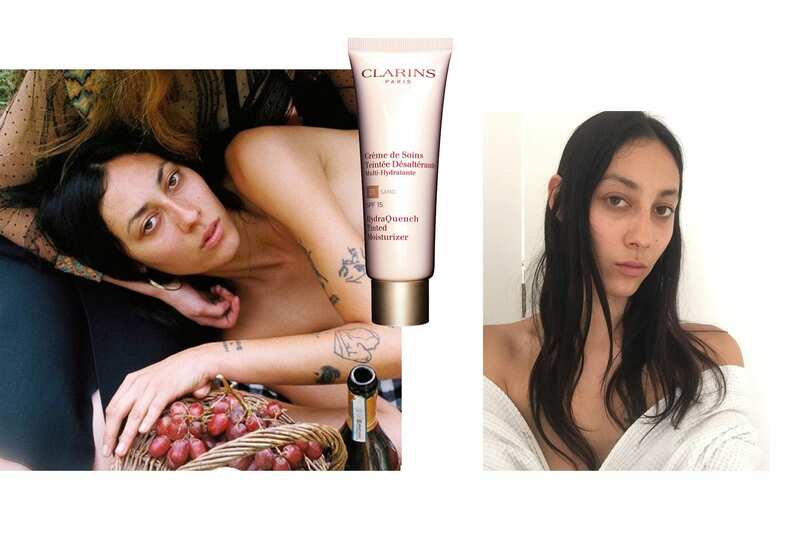 For my face I only hydrate with Clarins – HydraQuench Cream or Erborian – Crème High Definition Radiance Face cream. 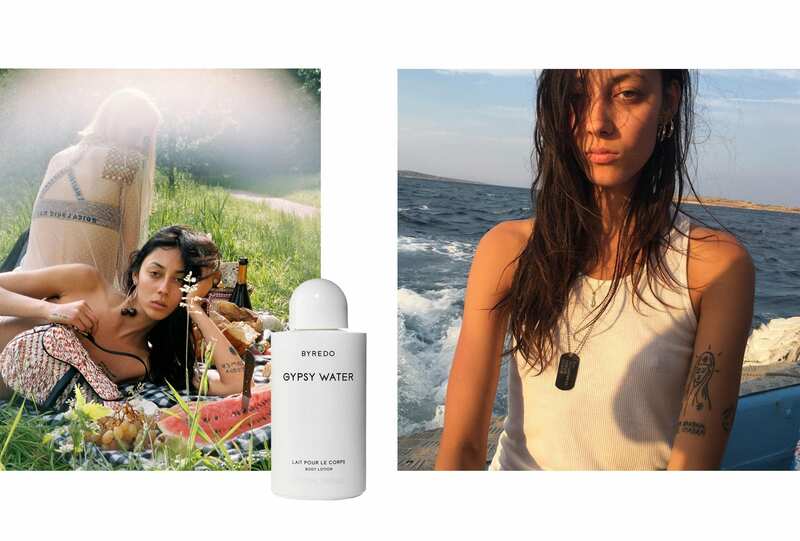 I tend to my tattoos by always using sunscreen and moisturise with body lotion from Byredo. That’s it. I don’t wear a lot of makeup, sometimes just a discrete mascara from Saint Laurent, eyeliner from Marc Jacobs Beauty and concealer from Shu Uemura. I always clean my face every night, no exceptions. It’s really important to take off the pollution and particles from the street, even when I am in countryside. I use Rosée de la Reine which is organic. After, I apply a bit of coconut oil to moisturise. Of course, I brush my hair, it’s really important for me. I am lucky in a way to work in this industry and with different great teams that I`ve learned a lot from. Most basic yet effective tricks are these: drinking a lot of water, always hydrate the skin and take good care of your hair. Basics but most important of beauty routines! When it comes beauty, I always think first about sport. Not because I want to be fit or skinny or gorgeous, but because I want to give it all during! I also play with the way I am dressing and how I make my hair. To be honest I tend more to my hair and skin routine and don’t feel like over using too much products for it. I feel the most like myself when I keep it natural. My beauty icons has always been Angelina Jolie, Devon Aoki, Binx, Leslie Masson and my mother. These women are, to me, just natural beauties. They inspire me by being themselves, strong and amazingly simple. Beauty is for me attitude, honesty, actions and way of living. It is the reason I can’t think about just one beauty icon, but women in general. I’ve received many advice regarding beauty, and I want as well to give mine: be the person you want to be, accept every imperfection, be strong and love yourself. We are lucky to be the person who we are, and we need to be proud of our own beauty and personality. Well, the best health advice came from my father: a lot of water, healthy food and never skip a meal. I`m always careful about sweeteners and like to keep it natural when it comes to food. Cooking is important for me and the best meal are the one shared with loved ones. I’m a vegetarian so I also add vitamins such as B12 to feel stronger. I can’t live with my daily cream from Clarins, I love the feeling of moisturised skin. I want my products to be as respectful to the environment as possible and always try to look for that!